King Thompson and Ben, the two brothers started a real estate company in 1912. They joined the hands with Coldwell Banker to provide advance services to numerous numbers of homebuyers and sellers. Coldwell Banker King Thompson, a subsidiary of NRT Inc. serves the region of central Ohio along with Upper Arlington, Dublin, New Albany, Columbus, Westerville and many more. More than 800 sales personnel are associated with this company. They offer a high level of quality service that has helped the company to earn the reputation of quality choice in the services of real estate business. They won Cendant Mobility Broker Network Five Star Circle of Excellence Award for three consecutive years. 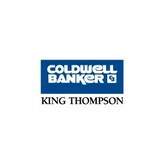 There are currently 0 consumer reviews about Coldwell Banker King Thompson available. Share your review. Please take a note that you are about to post a public review about Coldwell Banker King Thompson corporate office on CorporateOffice.com. This review will be public, so please do not post any of your personal information on this website. If you would like to contact the corporate offices of Coldwell Banker King Thompson, please use their contact information such as their phone number, website, and address listed above to contact them. However, sometimes staff from Coldwell Banker King Thompson headquarters do read the reviews on this website.